Congratulations are in order for Suzanne Parker, STNA for her selection as Heather Hill Care Communities Employee of the Month for December 2018. Suzanne has been employed with Heather Hill for 30 years!! 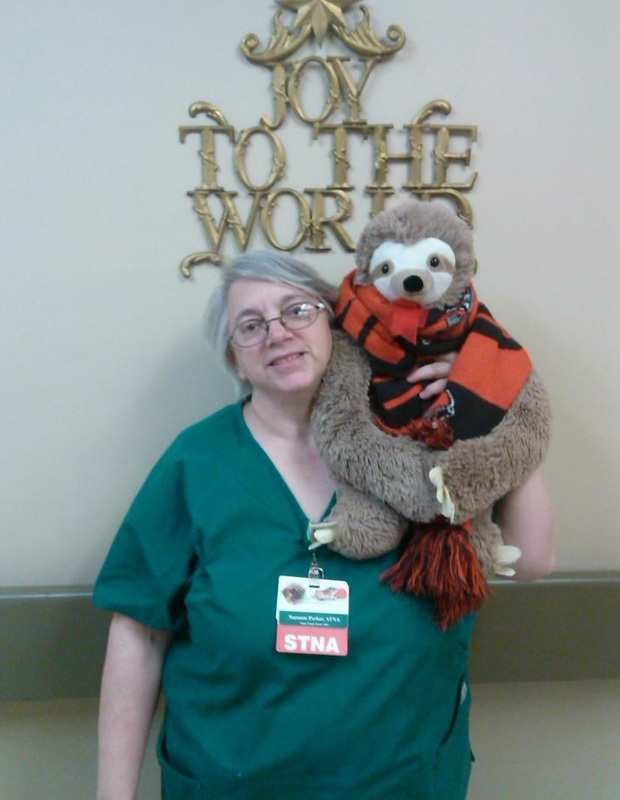 She is an exceptional STNA, and shows pure compassion for all her residents. Suzanne, a fantastic team player, is always willing and exceedingly able to take new STNAs under her wing and give them the knowledge they need to become a successful member of our Heather Hill team. Suzanne lives in Ashtabula with her husband, Erik. They have two sons Daniel and Jason. Congratulations! We appreciate and thank you, Suzanne, for being a dedicated member of the Heather Hill family! Heather Hill and its parent company, Foundations Health Services, strive to be a "Culture of Care" - in every aspect of what we do. Whether physical health and rehabilitation or nurturing relationships and community, we aim to cultivate strong and healthy lives. Founded by Brian Colleran, Foundations Health Solutions is Ohio’s premier long-term care company. Formerly doing business as Provider Services, our team of experts has more than 15 years of experience successfully supporting over 100 multifaceted long-term care facilities.